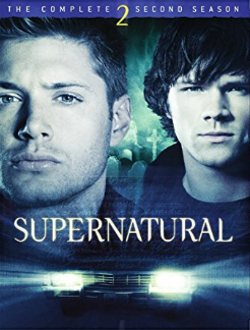 Sam and Dean investigate a series of robbery-suicides in Milwaukee, Wisconsin, that involve employees stealing from their employers and then killing themselves. A former security guard named Ronald “Ron” Reznick (Chris Gauthier) has been conducting his own research, and believes the culprit is a “mandroid”—half man, half machine. With his findings, the brothers instead realize that a shapeshifter is behind it all. Predicting that the next incident will occur at a bank, Sam and Dean pose as security workers to infiltrate the building, and eventually discover that the shapeshifter has taken the form of the bank’s manager. However, before they can act, Ron arrives and takes everyone hostage. The brothers convince him that they believe his theory, and move everyone into the vault so that they can locate the shapeshifter. It has already morphed into another person, and when they discover its identity, it runs. Ron gives chase, but is then killed by a police sniper when he goes in front of a window. A hostage then has a heart attack, and Dean takes him to an ambulance outside the bank. He is identified, and FBI Agent Victor Henriksen (Charles Malik Whitfield) is called in. Henriksen reveals to Dean that he has been tracking him since the incident in St. Louis the previous year, when another shapeshifter framed Dean for attempted murder. Sam and Dean work to track the shapeshifter who repeatedly shifts form to avoid detection and avoid arrest by the police and FBI. 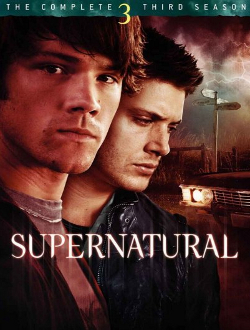 Finally, Dean manages to kill the shapeshifter with a silver letter opener and he and Sam barely escape by disguising themselves as SWAT officers. Bank robbery! Hostages, stand off, but wait, they’re coming out! Is that Dean?? Cut to opening credits, and then one day ago to the boys on the job, posing as FBI agents at a jewelry store investigating a robbery. Dean is flirting and Sam is properly investigating. Seems like the culprit is an employee who was, by all accounts, a good person and longtime employee. Edgar (Edward? ), the night watchman, caught her in the act and she shot him in the face! No one can understand why she did it. Then Dean hears from the salesgirl that the culprit killed herself – she dropped a hair dryer in the bathtub! That’s not a great way to go. The boys want to see the security footage but the cops took it. Sam tells Dean about a similar story involving a bank security guard on duty who was beaten unconscious, and they go to his place. It’s a guy named Ronald. Ronald has some intense security lighting. And also an interesting theory about the crime…the cops all thought Ronald was crazy but he tells Sam and Dean that Juan, the guy who robbed the bank allegedly, wasn’t the robber. Ronald let something into the bank but he says it wasn’t Juan. It had his face, but it wasn’t his face. This and the jewelry store crime were both committed by the same thing, he says. Part man, part machine, like the Terminator (from T2) – a cyberman. A mandroid! Ronald is so sure of this mandroid theory because of the security footage he shows them (he made copies of all security tapes) – the eyes!! WE KNOW WHAT THAT IS! A shape shifter! You can always tell from their eyes on camera (Ronald thinks it’s laser eyes). The cops told him it was some kind of camera flare or reflected light but he knows it isn’t. Ronald is obsessed with finding this mandroid. He’s going to hunt it down himself. He tells the boys that it kills the real person and makes it look like a suicide, then morphs into that person, cases the place it intends to rob, then finds its opening and commits the robbery. Based on location, Ronald thinks the mandroid is somewhere underground in the vicinity of the crimes. Sam gets very serious to tell Ronald the God’s honest truth about all of this: there’s no such thing as mandroids. There is nothing evil or inhuman out there – just people. He’s a little harsh with Ronald, telling him the laser eyes is camera flare and that Ronald’s friend Juan robbed a bank, and that’s it. That’s all there is to it. Ronald kicks them out but Sam takes the security footage first. Back at the motel, Dean is ragging on Sam a bit for the way he told Ronald to remand the tapes (VHS!! ), saying it’s evidence of an ongoing investigation. He thinks it’s creepy how good of a fed Sam is, and thinks they could have thrown him a bone, since Ronald did some good legwork. But Sam says Ronald’s not a hunter, and would get torn apart if he went up against this; it’s better to stay in the dark and stay alive. He’s just a guy who stumbled onto something real. So we’re dealing with a shape shifter just like back in St. Louis. Dean hates them – he was framed for murder by one, after all. He makes everyone get out there on the ground, in the centre. And apparently Sam told Dean they shouldn’t bring guns. Great. Ronald says nobody’s leaving; Dean comes out and Ronald gets a little freaked out to see him and Sam, telling them to get on the floor. Ronald says they clearly aren’t FBI, so who are they? Are they working for the Men in Black? The mandroid? Ronald does not like Sam!! He has a hostage pat the boys down to make sure they don’t have any weapons on them, but Dean does have a little ankle knife, which apparently Sam didn’t know about. Ronald gets rid of the knife. Dean tries to get Ronald to let the hostages go, but Ronald says no. Dean tries to explain that they believe Ronald and that’s why they’re there, but he shuts them down. Dean tries to get Ronald to come closer so he can tell him something – it’s the bank manager they saw on the camera. They saw his laser eyes. No, not lasers, but yes, his eyes. Ronald isn’t having it, but Dean convinces him that he knows that there’s something inside this bank and they have to act fast. Ronald takes Dean as a hostage and makes everyone else get in the vault. Meanwhile, the cops are outside, out of Ronald’s sight. Ronald and Dean go looking for the bank manager and Ronald slips on some gooey grossness. The shifter has shifted! He’s no longer the bank manager. Dean has to explain to Ronald what it means – when it changes form, it sheds its own skin, so now it could be anybody. Dean tells him it’s a shapeshifter, not a mandroid: more or less human, has human drive, can generate human skin. Dean finds a silver letter opener, which we know can hurt a shifter (silver). Ronald seems to think this is kind of cool! The cops have a chopper outside! A SWAT team and news van show up too! Turns out Ronald thought he was going crazy, but now he knows he was right (other than the mandroid). The cops cut the power. Dean knows without the camera, they have no way to tell who shifter is and figures the cops have them surrounded. Meanwhile, in the vault, bank girl asks Sam about Dean: has he always been so wonderful and brave? Haha. Dean opens the vault and more people enter. Sam gets out to talk to Dean and Ronald. They fill him in about the shifter and cops. Now they don’t know where – or who – the shifter is. Sam reminds Dean that he’s wanted by the police and even if they find the shape shifter, how are they going to get out of there, with the place surrounded? Dean says they’ll deal with one problem at a time, and goes out to look for more stragglers. He gives Sam a silver letter opener, and tells him to keep an eye on Ronald. Sam is pissed. This is not how he would have done this job, but this is the situation they’re in and they have to deal. Dean goes off to look for anyone else in the building (or the shifter). In the vault, people are sweaty and scared. Sam comes and opens the door, saying he’ll keep it open to give them some fresh air, but no one leaves the vault. Then the phone rings! Eeek! Ronald answers the phone while Sam tries to calm down the vault dwellers. It’s the cops and they want to know Ronald’s demands. He tells them he’s not a bank robber and doesn’t have any demands and he’s acting alone. Sam tells him to hang up; the less the cops know, the better. An old security guard in the vault may be having a heart attack! But Sam knows it could also be a trap. Sam gets on the phone with cops and tells them to send a paramedic – someone needs help. The vault dwellers are upset. Dean is still out checking the rest of the building. He pushes up on a ceiling tile and a body falls out!! It’s the body of the guy in the vault yelling at Sam and Ronald! Dean shows up to tell Sam what’s going on, and the shifter watches them very closely. Sam goes to get security guard out and the shifter tries to help but Sam shrugs him off. Dean keeps his eye on him and asks him to come over. Then the shifter attacks Dean! He runs through the bank, past Sam helping the security guard. Ronald chases after the shifter and stops and raises his weapon. Bad move, Ronald. He steps right into the line of a police sniper rifle and takes a bullet to the back. Dean and Sam watch him fall to the floor. Dean is not happy. He kind of liked Ronald! Now the vault dwellers are running out of the vault. It looks like the boys are screwed. Sam tells Dean to take care of the guard; he’ll go after the shifter. Dean goes over to Ronald’s body and says sorry. But he did a good job tracking this thing. He snags Ronald’s gun. Sam goes out to find the shifter. He finds some vault people and tells them they’re in danger and should get back to the vault. The cops are stepping up their game outside. Now we see the scene from the start of the episode, with Dean taking the security guard out front. He lets the guard go and locks the bank back up. “We are so screwed”. Sam has found the shifter’s shed skin in a stairwell. It’s shifted again. Sam will search some more and Dean will round everybody back up. Now the FBI has shown up. And look who’s rolling in. Special Agent Henricksen! Dean’s nemesis! Dean puts the employees back in the vault; the bank girl who used to have a crush on Dean now says, “I thought you were one of the good guys”. Dean asks for her name and tells her his name is Dean. Her name is Sherry. Says everything will be alright, this will all be over soon, and closes the vault door. The phone rings and he picks up – it’s Henricksen! They have a chat – it’s clear that Henricksen knows who Dean is, and wants him and Sam out there unarmed, “Bonnie to your Clyde”. Henricksen has been looking for Dean for weeks, knows where he’s been and all about the thefts and desecrations, and about his dad. Dean tells Henricksen that his dad was a hero, but Henricksen isn’t buying it, and says Dean has one hour before Henricksen goes in full automatic. Then he hangs up. Then Henricksen tells the cop to get his men ready – they’re going in in 5 minutes. The cop thinks they shouldn’t do that – the boys have let one hostage go, and could let others go. Going in is too risky. But Henricksen says Dean and Sam are highly trained and dangerous. Sam finds vault girl’s dead body! Sherry! Dean and Sam share some info with each other, and open the vault and tell Sherry they’re letting her go as a show of good faith to the feds. But she says she’d rather stay there. Dean moves in, saying he insists. 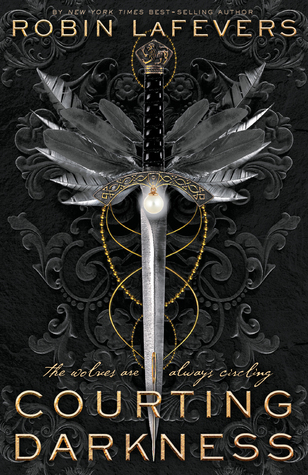 She sees Sam’s silver letter opener and walks out of the vault. They take her right to the body and she freaks out, and passes out. What the what? The boys are hella confused! Something isn’t right. Sam is about to stab the passed out Sherry but then stops. Could this be part of the shifter’s plan? They go to check out the other body and then hear glass breaking. Then the ‘dead’ Sherry attacks D and ‘real’ Sherry wakes up in time to see it! She’s understandably freaked. Sam gets her out of there and Dean takes on the shifter. Meanwhile the feds are coming in! The feds find ‘real’ Sherry, and she identifies herself as an employee. They take her out. Then some of the feds find Sam! Dean is still looking for the real shifter, who got away. Sam fights off the feds – impressive, considering they’re in SWAT gear! And Dean is now fighting the shifter, who gives him a pretty major beatdown. But Dean manages to stab her with the silver letter opener, killing her/it. The SWAT guys are coming. They find the dead shifter as Dean left her, and say they could swear they just walked her (‘real’ Sherry) out of the bank. She must have a twin sister. Sam shows up in SWAT gear, and that’s how he and Dean get away! Much to Henricksen’s dismay. I really like this final scene, set to music, with the bros escaping in SWAT gear. It’s so cool. Good episode! I’ve always liked this one, with Ronald’s mandroid theory, the return of Henricksen, and the fact that Dean’s past with shape shifters has come back.